We believe no one should have to live with pain. Most people experience pain at some time in their lives. But for many, pain becomes a recurrent or chronic condition that profoundly impacts the quality of their lives and their physical and mental well-being. Pain medications and anesthetics are often prescribed to manage the pain, without treating its underlying cause. As a consequence people may suffer for many years, and often see their condition deteriorate over time. Haven Integrative Pain Relief Centre in beautiful Douglas, Cork was established to provide comprehensive diagnostic and treatment services to help people of all ages who are suffering from acute or chronic pain that has gone unresolved with drugs, surgery, and other therapeutic approaches. 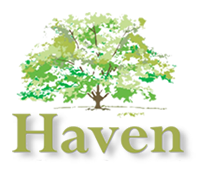 Haven is dedicated to helping you understand the root cause of your painful symptoms, and providing the most effective pain relief care available to help get you out of pain as quickly as possible and back to the activities you love. Haven Pain Relief Centre offers comprehensive diagnostic and treatment services to help people of all ages who suffer from acute or chronic pain regain their health and the quality of their lives. Our focus is to identify and resolve each problem that contributes to your pain and inability to live your life to the fullest. Utilizing state-of-the-art facilities, we provide the most advanced and effective non-invasive treatment options currently available, in a caring, supportive environment. We treat a wide range of conditions, including headaches and painful disorders of the spine, discs, extremities, joints, muscles, nervous system, and other health conditions. We employ a comprehensive, patient-centered approach that tailors treatment to your specific condition and degree of pain, providing the combination of therapies that will most effectively relieve your pain, corrects its underlying cause, and improve your health. We have exceptional success with patients of all ages, even those suffering from difficult conditions who have failed to find relief from multiple other treatment approaches. We have successfully treated patients from throughout Ireland, and have established a national reputation for unsurpassed patient care and lasting relief of pain. We believe that patients should be the final arbiter of their health and its care. Therefore, it’s important to us that we empower our patients and practice members all information needed to make informed decisions about their health care. We will consult with you in depth about your specific condition and the best approach to effectively treat it, answering any questions you may have. We will also consult with you about lifestyle, diet, exercise, natural remedies and nutritional support, and other wellness topics. We view your care as a collaborative endeavor in which we work together to provide you with not only lasting relief from pain, but also increased health and wellness. In cases where your condition may require additional treatment that lies outside of the scope of our practice, we will provide you with a referral to the appropriate medical doctor, which may include neurologists (not “functional neurologists”), orthopedic surgeons, or others.If you are suffering with pain, make an appointment for a consultation today by calling 021 485 7669 or emailing us. Dr. Michael Clifford is the founder and principle doctor at Haven Integrative Pain Relief Centre. Educated in America, Dr. Clifford is a Diplomate in Integrative Pain Management and an Integrative Pain Relief Specialist, a U.S. Board Certified Chiropractic Consultant, a U.S. Board Certified Physiotherapist, a Chiropractic Sports Physician, and a Primary Care Provider in the State of California. Shauna brings a wealth of experience to Haven. As a Qualified Physical Therapist, Massage therapist, and reflexologist, she is an essential member of our team, working to help relieve patients’ pain, reduce stress, improve circulation and flexibility, promote detoxification, and increase a general sense of wellbeing.